A hearing on a proposed ban on the the outdoor growing of medical marijuana in residential areas within the City of Sacramento has been postponed until October 16th. Councilmember Sandy Sheedy is asking the City Council to consider the ordinance in response to the number of individuals growing marijuana in their backyards and in other places in residential areas. 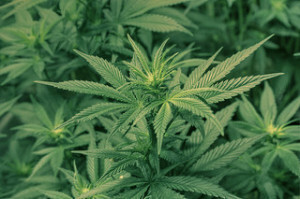 Residents were allowed to grow only 12 plants; however, the State Supreme Court recently removed this limit, ruling no restrictions can be placed on the number of plants an individual can grow for personal use. This has led to residents grow up to 80 or more plants on a single residential lot. Sheedy’s office has received numerous complaints about marijuana being grown in neighborhoods, near schools, and in other sensitive areas. The biggest number of complaints surround the smell of the mature plants, making it difficult for some to go outside. The ordinance is expected to be presented at City Council at 6pm at New City Hall. October 9, 2012 in marijuana.